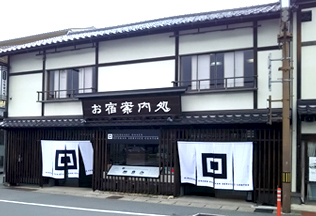 An ideal spot to start your open-air hot spring public bath tour! Reserve one of our 2 hot spring baths for private bathing or join one of our ceramics workshops. 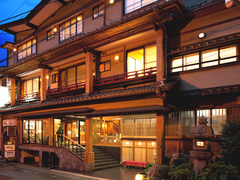 Located in the center of Kinosaki Onsen, it's the perfect place to start your tour of the seven famous open-air baths. We provide admission tickets for a number of the hot springs. 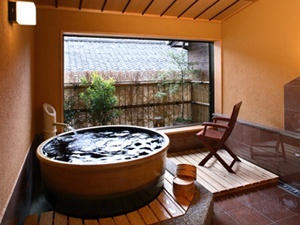 The bath found in our inn is also a hot spring bath. We have two other hot springs that are reservable for private bathing. From spring to fall, all of our full course meals are based on the seasons. 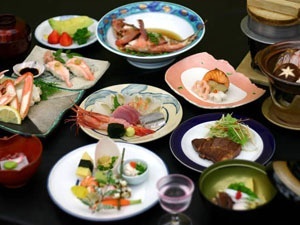 Tajima beef (better known as Kobe beef), for example, is served with some meals. November 6 ~ March 31 is crab season, during this time crab is a popular main in our dishes. Ceramics, cloisonne ware, and bisque ware art workshops are available in our main building. Discounts on our ceramics are offered to our guests. *For guests with physical disabilities please let us know, we will do our best to place you on the lower floors of our building. *Guests with allergies to crab, shrimp, fish, wheat, or any others please let us know. We will do our best to make changes to your meals to suit your needs. *Please understand that we may not be able to meet the needs of everyone perfectly. 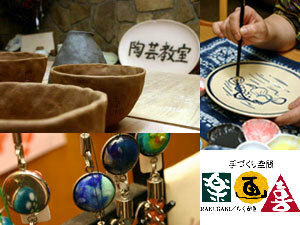 Ceramic ware, cloisonne ware, ceramics painting workshop area. 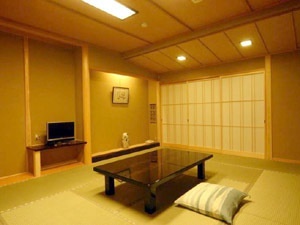 Calm your mind and body in this traditional Japanese style room. Cuisine made with fresh seasonal ingredients.